Owning an investment property is a smart investment for many but it does involve risk similar to other investments. As a property owner it is important to us that you understand these risks… As your property manager, it our job to maximize the profitability of your investment. However, please understand that there may be times when losses occur. Below is a list of questions frequently asked by owners. 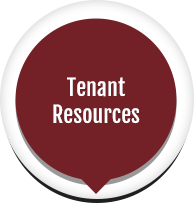 The list is based upon our experience with tenants and property owners. The items are our attempt to ensure that owner’s expectations and reality are as close as possible. What kind of maintenance will be required for my investment property? Homes require regular and preventative maintenance. Different occupants stress the homes in different ways. Unforeseen maintenance may be required. Sprinkler systems, plumbing systems, appliances and heating/cooling systems require maintenance. In order to keep your investment property in good condition, and maintain the home in a safe condition for your tenants, it is imperative to keep these items, as well as other items, in good working condition. We will monitor the overall condition of the interior and exterior of your home and will coordinate repairs as necessary as per the Property Management Agreement. Making a repair immediately for $50.00 is typically more effective and cost efficient than doing the same repair later for $500.00. Please understand that home repairs priced below $250 are considered minor repairs. We will make these repairs as needed without the owner’s consent as per the property management agreement. If the homeowner does not want to properly maintain the home, then we may elect not to assume responsibility for managing the property. What is my responsibility regarding exterior maintenance? Over time, exterior items such as fences, the exterior frame, and siding of the home should be painted. Also, landscaping above and beyond simple mowing and weeding needs to be attended to. Please do not expect the tenant to perform painting and landscaping other than mowing and weeding. What will my property rent for and when will it be rented? Property managers do not control the rental market and do not guarantee how much the home will rent for. Property managers also do not guarantee how long it will take to rent your home. 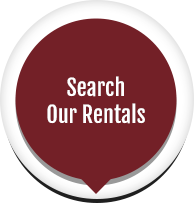 If you demand top dollar for rent, be advised that it could require a lengthy time period to find a tenant. Can liens be placed on my investment property? In the State of Colorado, water is a lienable item. Ultimately, it is the homeowner’s responsibility to pay the water and sewer bill unless other legal arrangements have been made via a HOA. We will monitor tenant water use and water bill payments to ensure proper payment of water and sewer bills. Utility companies do not always bill in a timely manner; occasionally you may receive a water bill from a reading that is several months old. In the State of Colorado, HOA may place liens on properties if HOA fees are not paid. Ultimately, it is the homeowner’s responsibility to pay the HOA fees. The homeowner may choose to pay the HOA fees themselves or elect to have Premier Property Management provide this service. Do I get to hold and have control of the tenant’s security deposit? 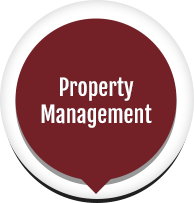 Premier Property Management maintains an escrow account(s) for all tenant security deposits. We are responsible for the maintenance of the tenant’s security deposit, not the owner. Can you insure that the tenant will follow the lease and maintain the property properly? Property managers do not control the individual lives of tenants. Tenants do things that neither of us understand nor can explain. Be aware that tenants can leave the home in better or worse condition than when they moved in. Tenants will sometimes move out of a home without any notice. Tenants may not comply fully with the lease. Occasionally legal action is required to force a tenant to comply with the lease. Be aware that tenants will make promises that they cannot keep.